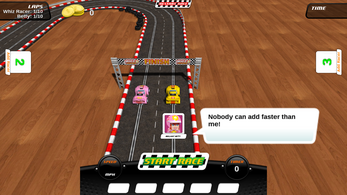 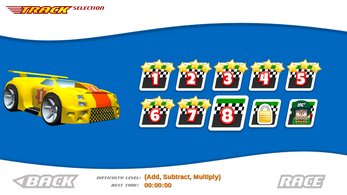 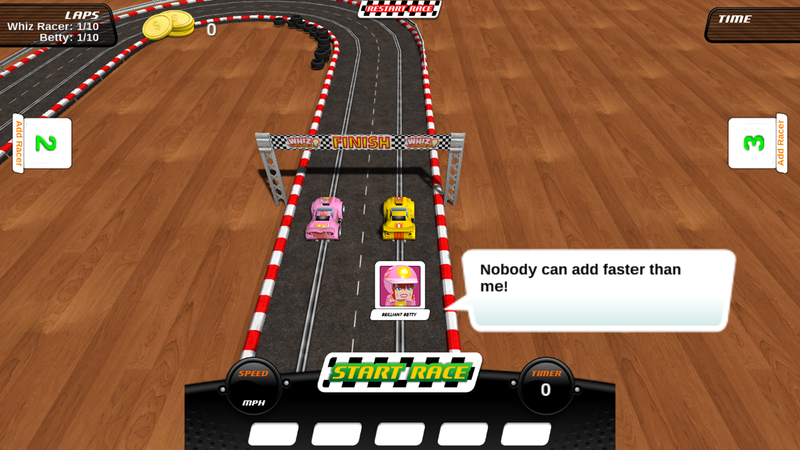 Whiz Racer is a car racing game with a twist. 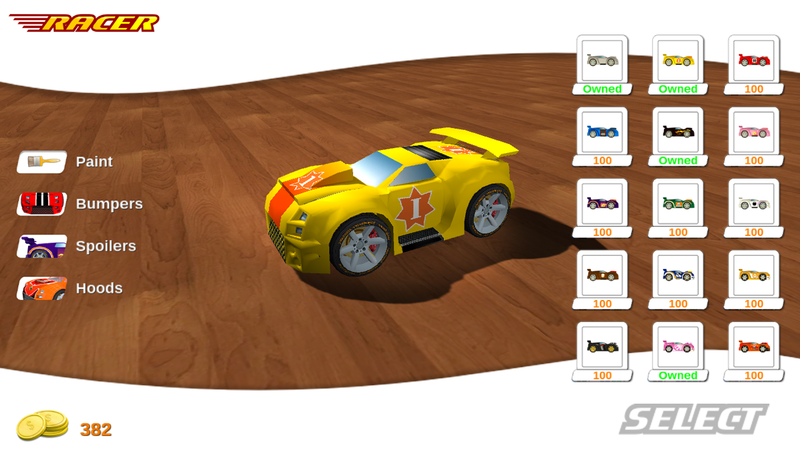 The cars are brain powered! 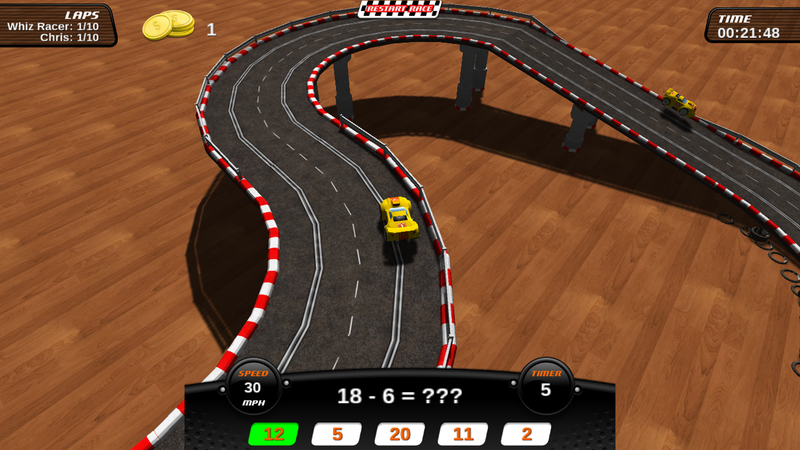 Prove that you have the smarts to defeat Professor E by solving math problems. You will be facing challengers from all over the world through 10 levels of addition, subtraction, multiplication and division. 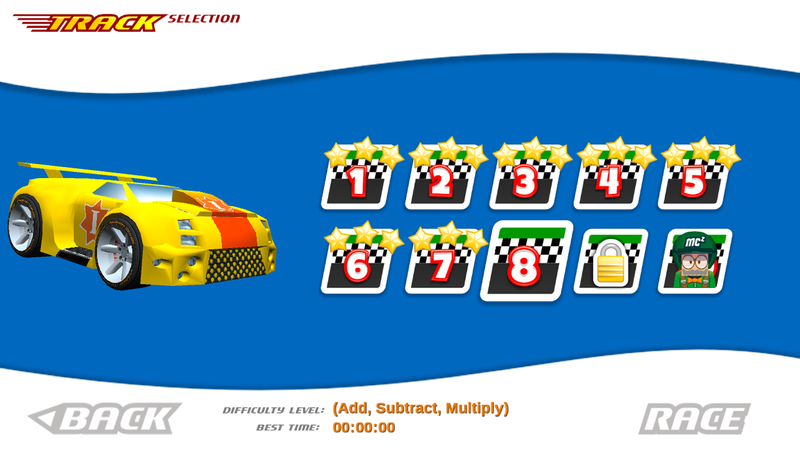 Become the ultimate Whiz Racer by mastering each level because to defeat Professor E you will have to be smart and fast!